Car Dashboard Warning Lights – What do they Mean? At Rescue Auto, we love our cars and we know you love yours too. Over the years, we’ve seen constant upgrades in onboard technology for vehicles improve the driving experience. Along with those improvements have come more warning lights and a certain amount of confusion for the average driver. And we’ve all had that interruption in the bliss of driving that comes when one of those pesky dashboard lights comes on. When this happens, you can’t help but lose some of that pride and confidence you had in your driving experience. The modern car is packed with sensors to monitor both how your vehicle is behaving and to make our motoring life easier, not more difficult. 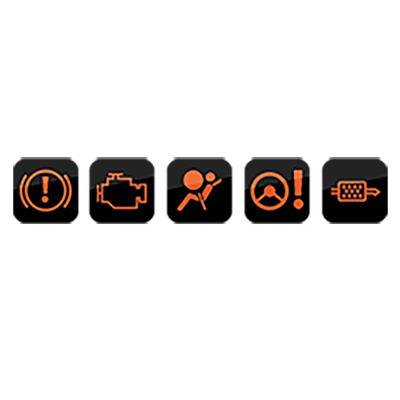 It’s important to know what the car dashboard warning lights actually mean, though, not least because they can pre-empt a car breakdown or full-on failure, potentially saving you from an expensive repair bill and meaning you stay safer on the road. Your vehicle’s brakes are arguably the most important feature on your car, so if there’s a warning light flashing on your dash highlighting there’s something wrong with the braking system, it’s best to get it checked out right away. Just like your car’s water or coolant warning light, you might see an oil warning light flash up if oil temperature gets too high, the level is low or oil pressure too low. It’s the latter two you want to avoid at all costs. Oil is what lubricates your engine, with the oil pump used to spray the fluid to all corners of your engine. If temperatures get too high, or even worse, level is low or oil pressure drops, the effectiveness of the lubrication can be reduced or lost all together. The result? Expensive engine damage, so if you see this warning sign, stop and phone a professional right away. 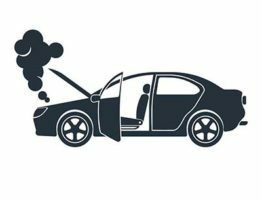 You should see your battery charge warning light when you first turn your car on, but if it doesn’t go out a few seconds after the engine starts, there could be a problem with your car’s electrical system. This could be to do with a faulty alternator, faulty battery, a bad connection or damaged cabling somewhere in the engine bay. If your car isn’t charging its battery when moving (the job of the alternator), then you could eventually run out of electrical power and grind to a halt. At worst, the light could be on due to an alternator drive belt braking. Other systems also use this belt – such as the engine coolant pump, or power steering – so the effects of a failure here could be compounded. Now that you know what the most common warning lights in your vehicle are trying to tell you, the next time one comes on, you’ll have an idea of how critical the warning is and what the potential remedies are. Of course, we at Rescue Auto are always more than happy to answer your questions about these warning lights and help you determine how to proceed when one comes on. Happy motoring! Without any coolant, your car’s engine would get very hot and cause serious damage. If you see the coolant light show up on your dashboard, it could mean coolant levels are running low, so check the gauge on the side of the coolant tank under the bonnet and top up if necessary to prevent overheating. Thanks for the great help! What is the difference between WordPress.org and wordpress.com? Does it depend upon whether you choose a .com or a .org domain? Thanks!